Our Wittians of Grade – 2 farm themed party in the school campus. The campus was decorated with small hats, well, stables and many farm animals. There were several games like dress the scare crow, Boogie Dance, Find the farm products etc. 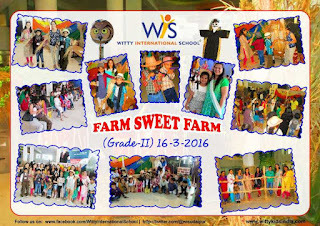 Last of all the parents with their kids and the teachers had fool tapping dance on peppy songs.